Political prisoner and former death row inmate, Zolo Agona Azania, needs your help. 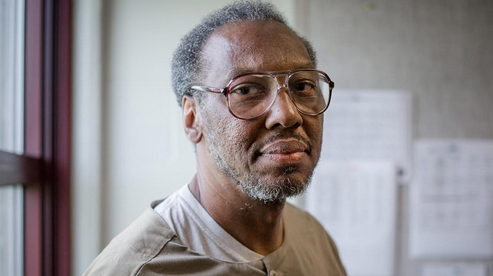 Zolo was finally released on Monday, February 6, 2017, after spending 35 years in prison, 27 years on death row. Zolo is a prolific writer and an accomplished artist. His writings and art reflect his deep commitment to the Black freedom struggle and a just world for all people. Zolo exited prison practically penniless and faces enormous financial challenges. He needs to pay for housing, food, clothing, transportation, furniture, a cell phone, utilities, and the many other expenses we all encounter. All funds will go directly to Zolo and will be deposited into a fund managed by me, Howie Emmer. Along with others, I have visited and supported Zolo for 13 years. For more information contact: zoloazania.org http://www.zoloazania.org/ and Chicago Committee to Free Black Political Prisoners on Facebook.